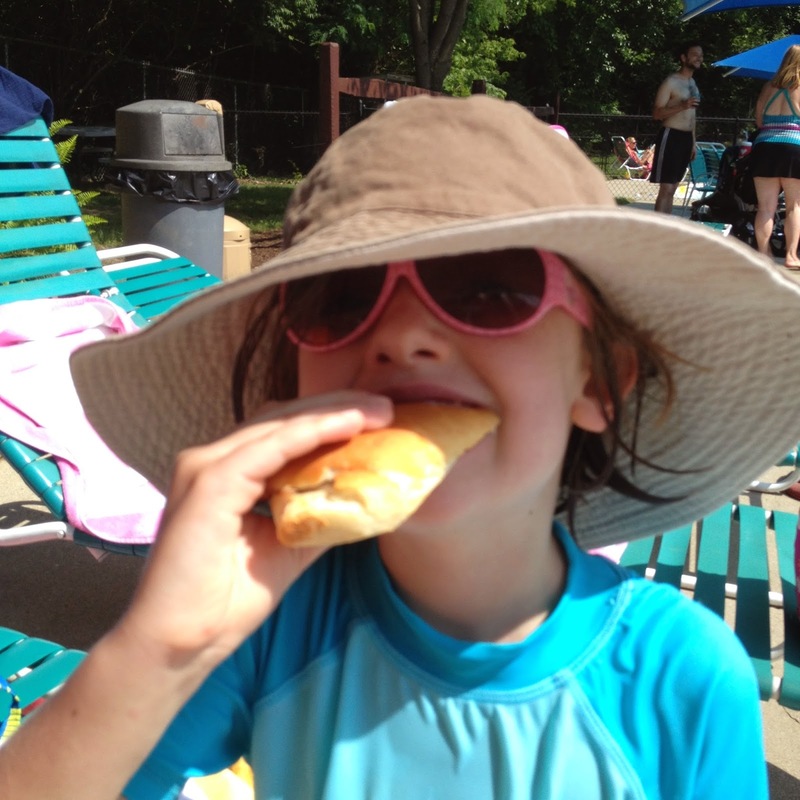 Four Schneiders: In praise of Papas! 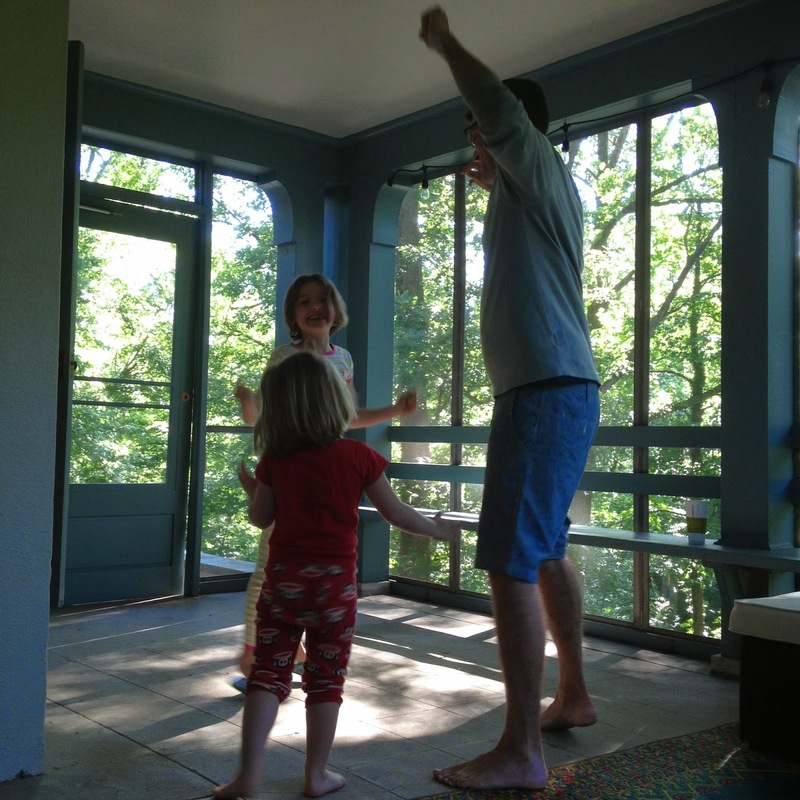 Father's Day this year was sweet all around. 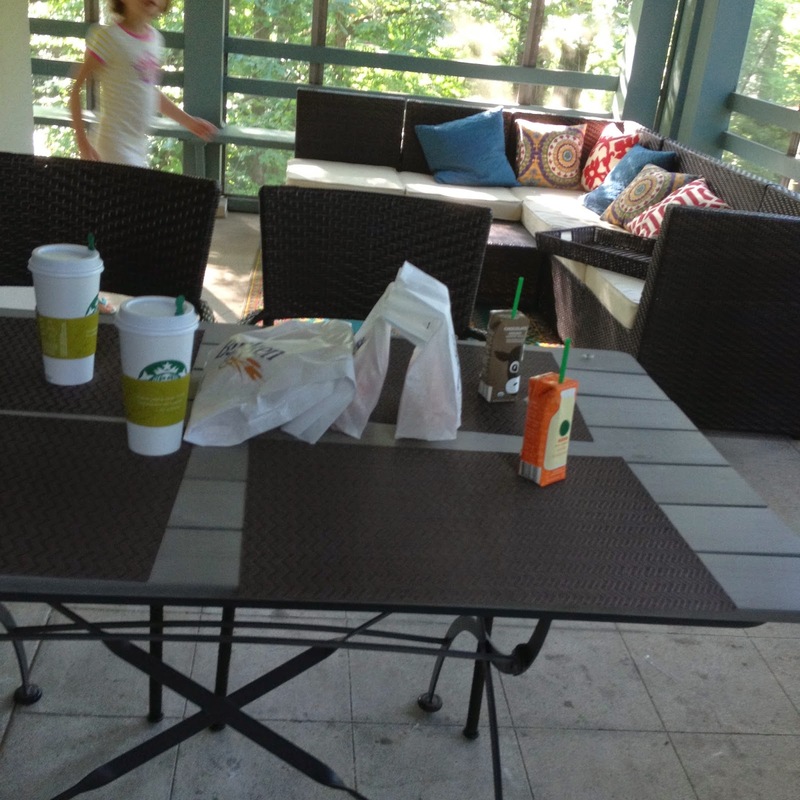 The girls and I snuck out of the house early to buy donuts and coffee for porch-breakfast surprise. 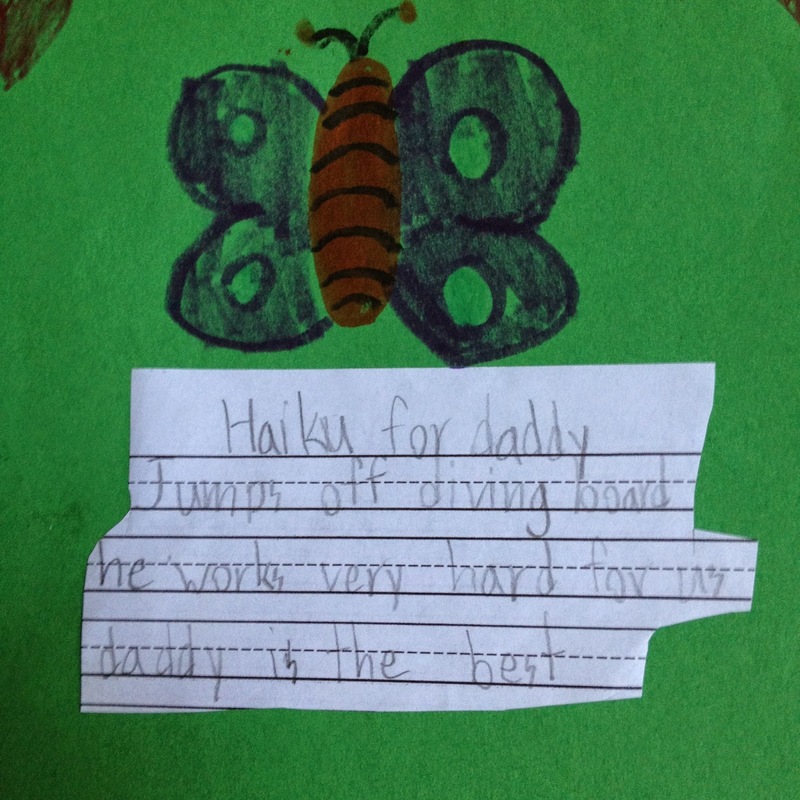 Josephine gifted her papa the best little haiku every written for a papa. 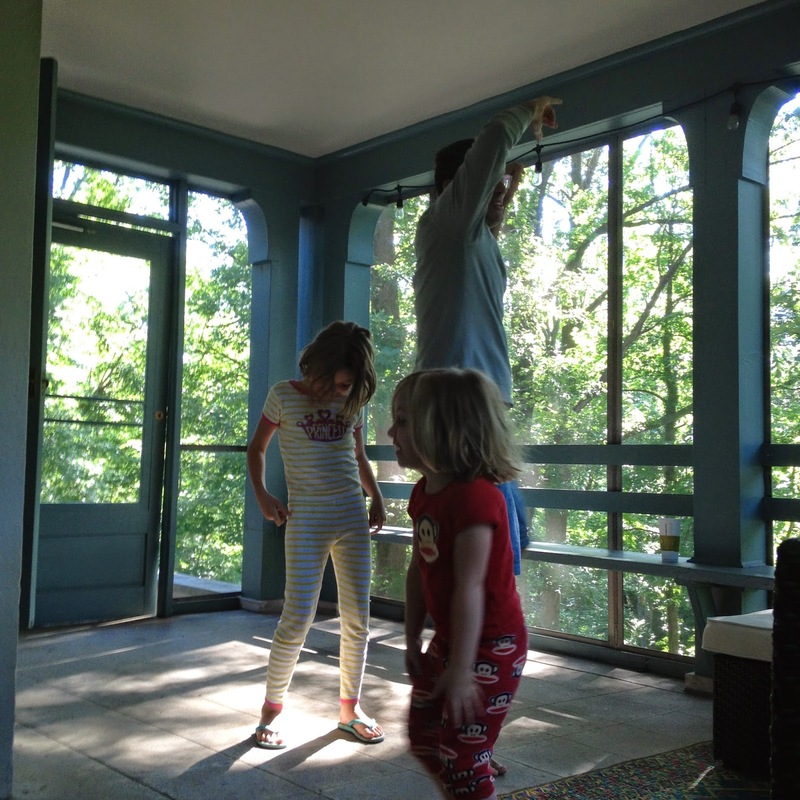 Then a dance party broke out! 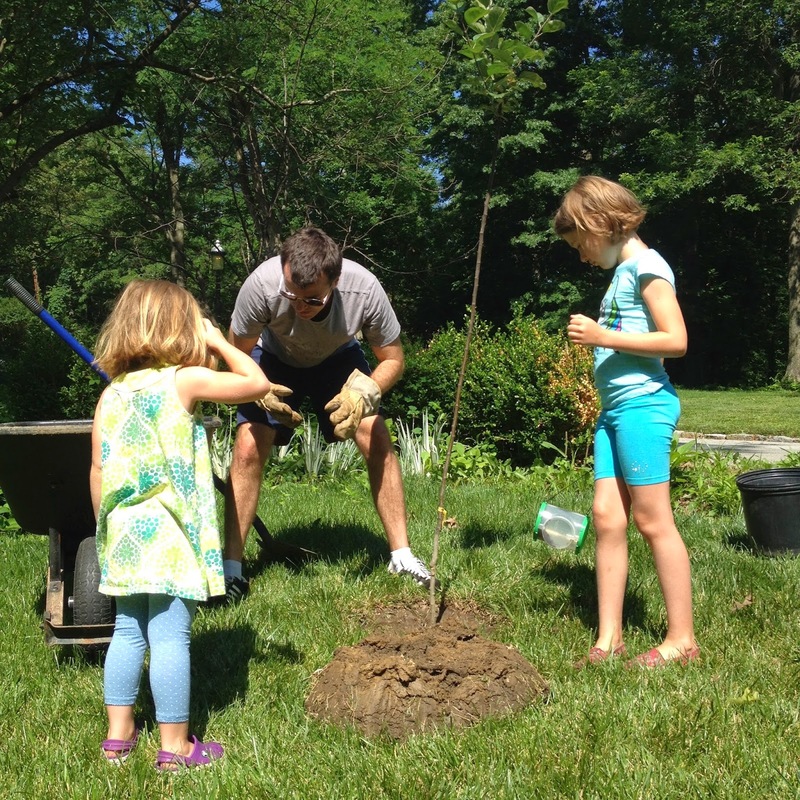 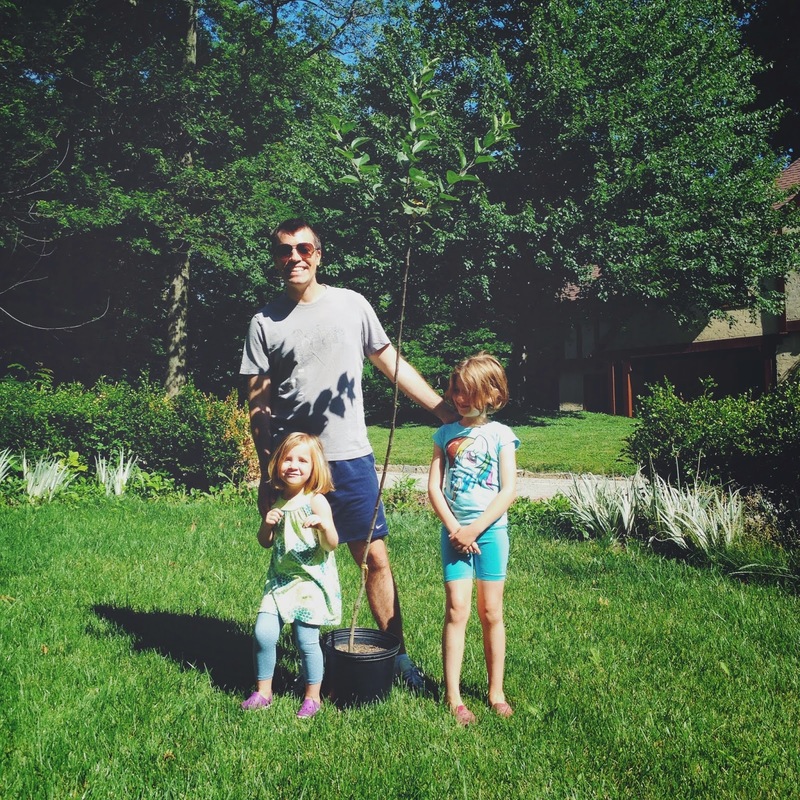 Our gift to Lou was a pair of apple trees that we can watch grow along with the girls now that we're in our "forever home." 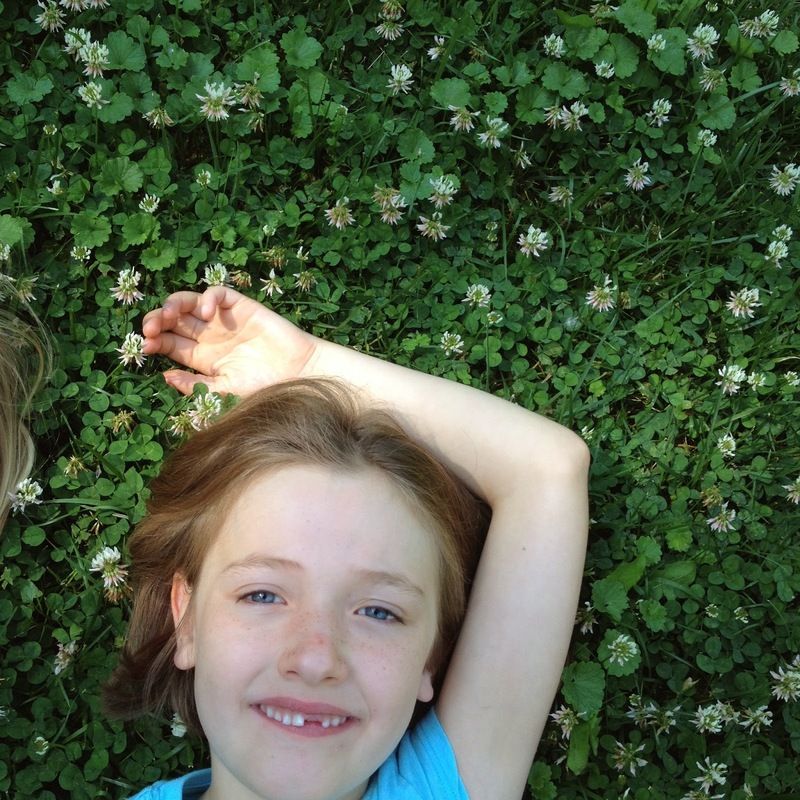 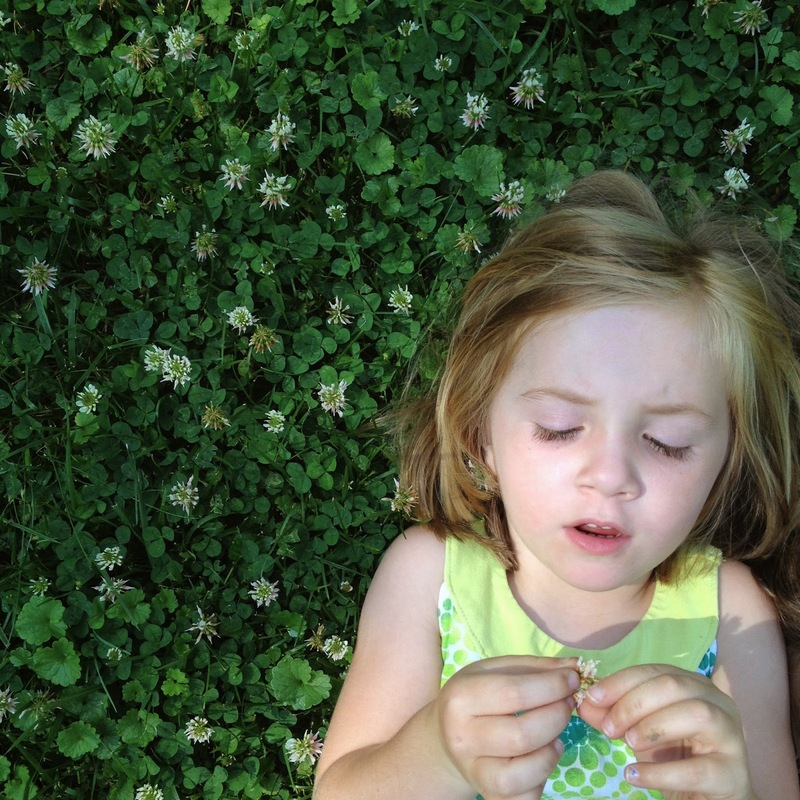 It was SUCH a beautiful day that the little darlings literally rolled around in the clover, singing June's praises. 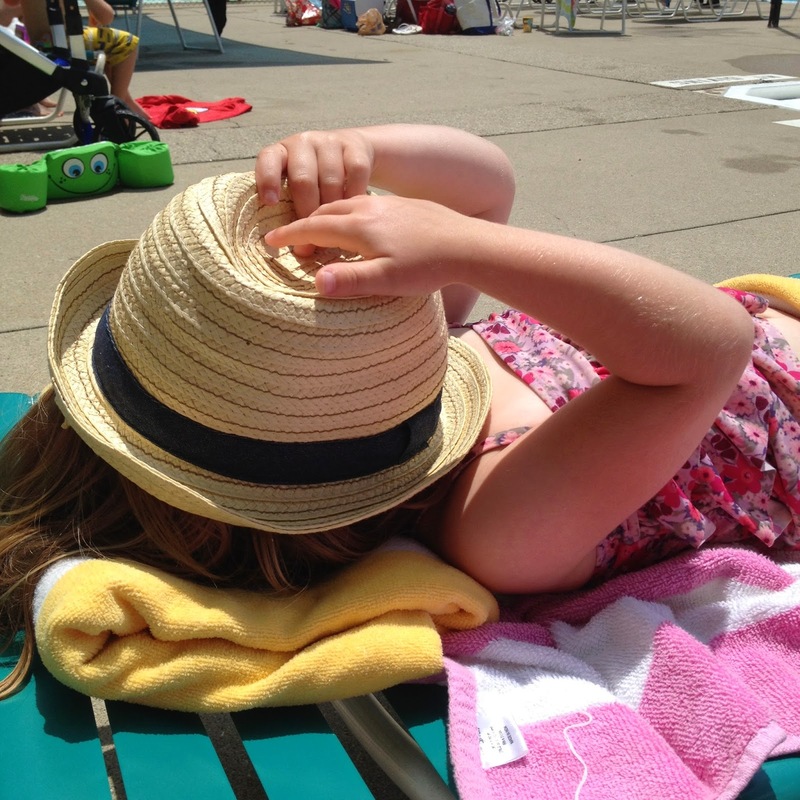 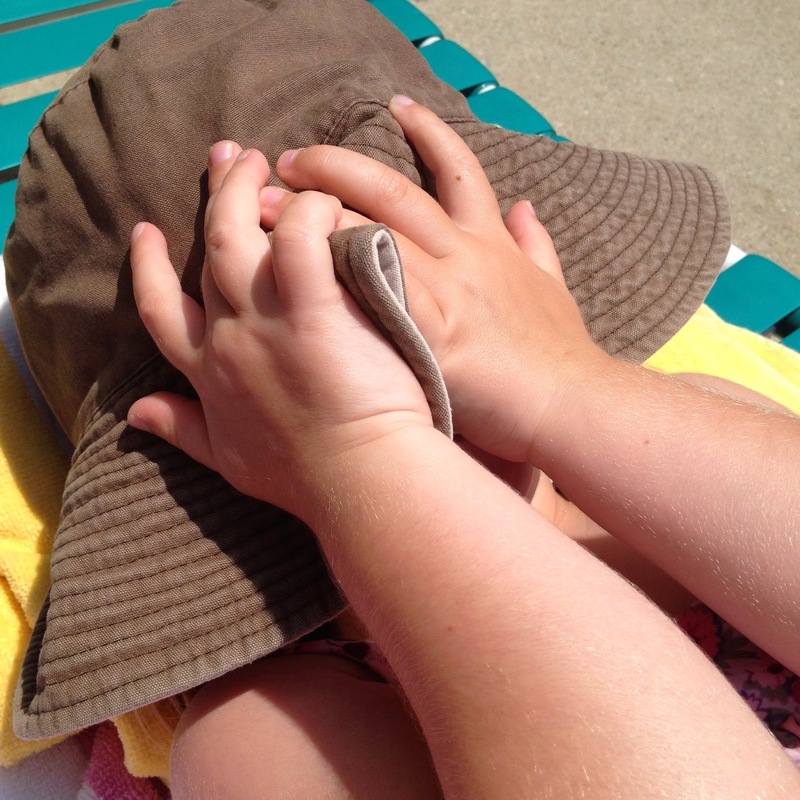 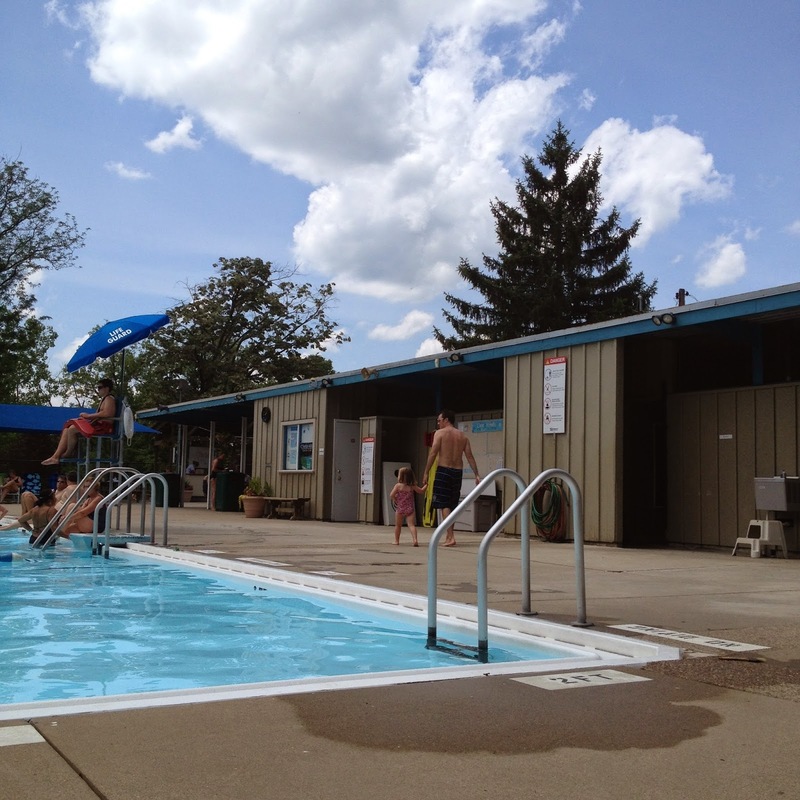 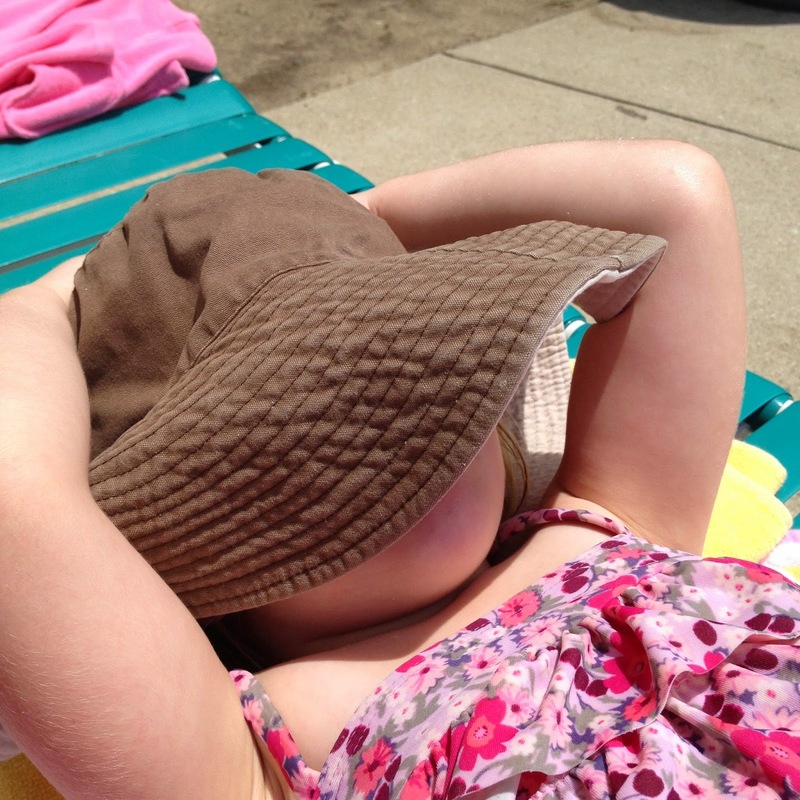 Then we headed to an all-day pool-day...Lou's idea of the best way to spend any day, especially father's day! 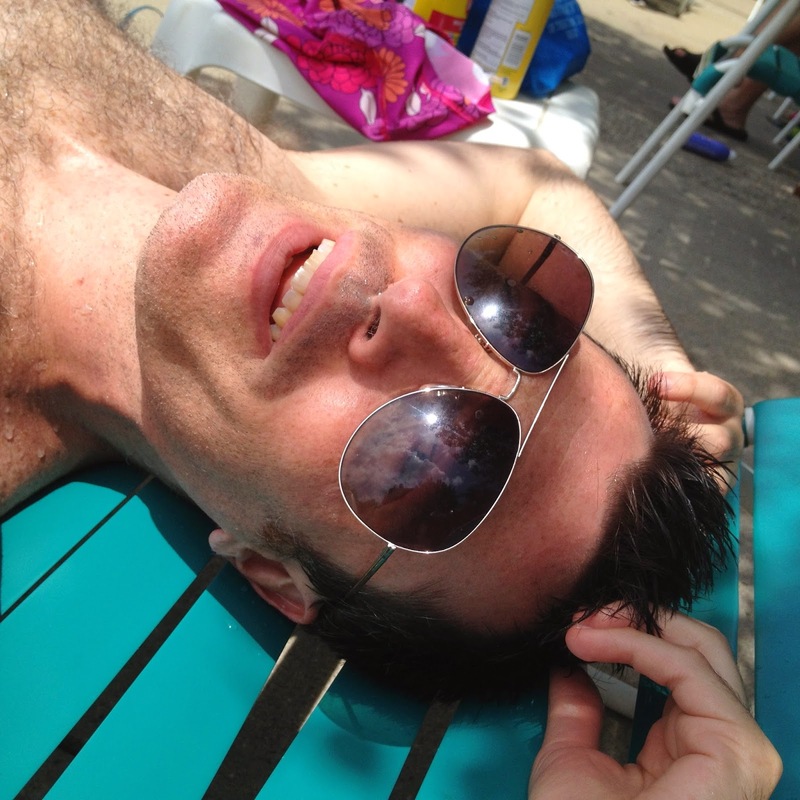 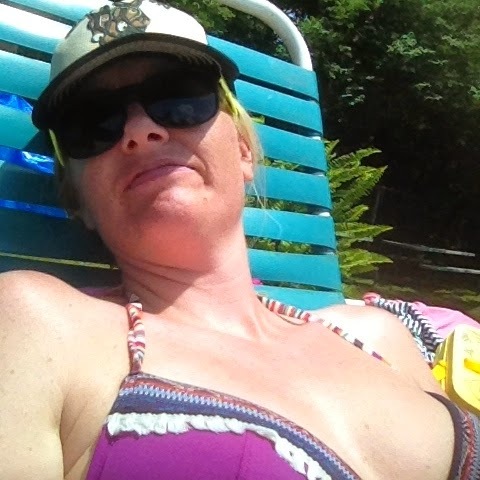 It was HOT and SUNNY! 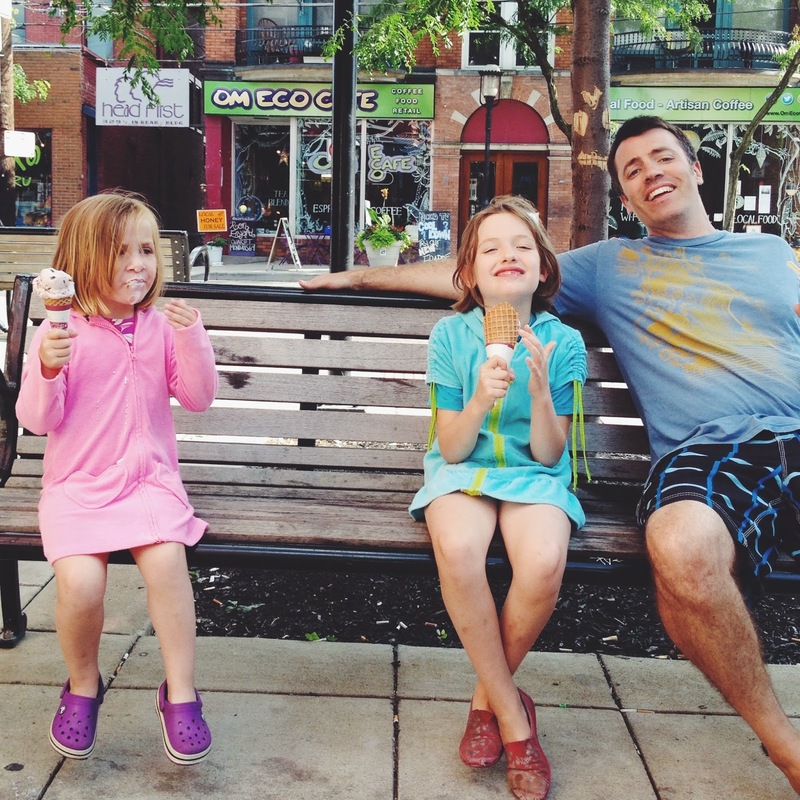 After some pizza at Dewey's, where we realized that everyone was dressed nice for father's day and we were rocking swim suits and trucker hats...we capped off the day with ever papa's favorite treat - Graeters! 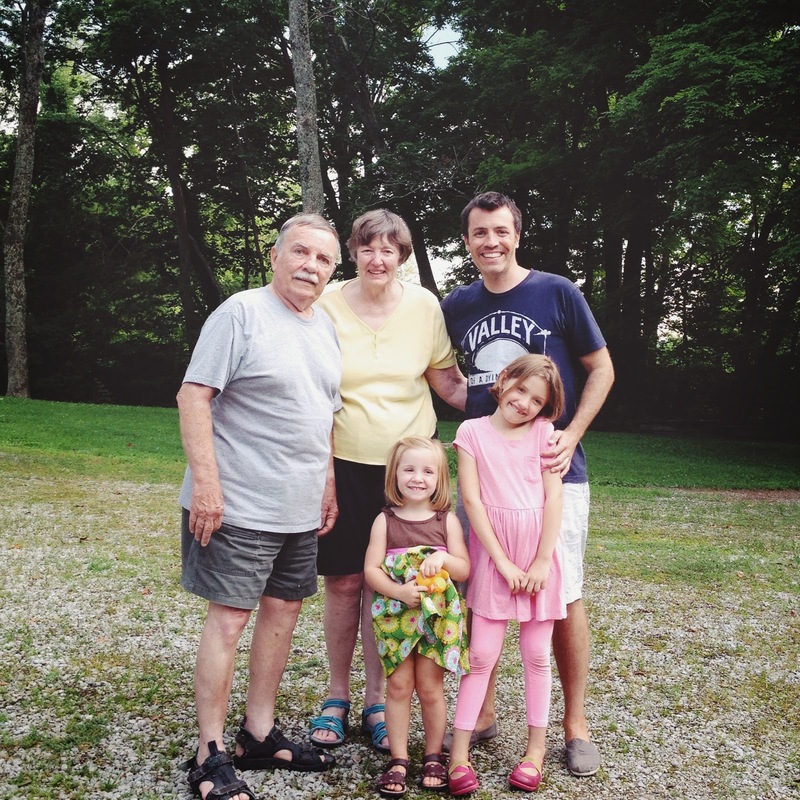 And the next weekend, we got to celebrate Lou's papa!